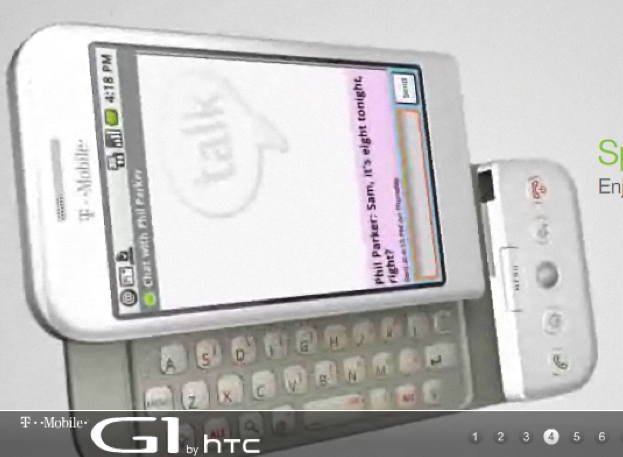 Looking at the early pre-release drawings, leaks, and renderings of the T-Mobile G1, there was a funny little question amongst us "hinge nerds." The rail between the screen and the keyboard was curved -- why was that, doesn't the screen just slide straight up? No. The screen slides to the left and up on a curved track. Why is this cool? It means you can give it a little push with your right-hand thumb to slide the screen up -- just push to the left and up slightly and out comes the screen. Like the unlock feature we just mentioned, it's a subtle and elegant difference from your standard smartphone. There are a lot of little touches of grace and elegance inside this G1, we can't wait to get one in our hands to find them all.